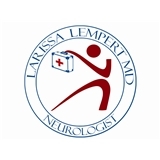 Larissa Lempert MD (Brooklyn) - Book Appointment Online! In my professional experience as a neurologist I realized that the best way to approach my patients' neurological problems is to spend most of my time listening to my patients, understanding their concerns and responding with the best treatment options available. I want my patients to be informed about their neurological problems and treatments, because informed patients make better decisions about their health and well being. That is why I've included a section on my website covering common topics associated with neurology and common neurological problems. I encourage you to look through these pages whenever you have an interest or concern related to your neurological health. I know that convenience is important to your selection of a neurologist in Downtown Brooklyn. I appreciate the opportunity to care for my existing patients and welcome any new patients to join my practice. First time seeing her. She was ok. I need to have some more visits to determine how I like her.